Based in Maple Ridge, BC, we teach a complete values system with a POWerful word and theme every month. Beyond our martial arts program, we incorporate a comprehensive character development program focused on respect, discipline and confidence, with a goal of building leaders in our community. Our teachers are martial arts professionals who provide the highest level of instruction. We understand the needs of our students, and there is no age limit to when you can start your personal journey to black belt. We teach age specific and age appropriate curriculums. Bateson’s is a non-contact, non-competitive school teaching a blend of arts with a base in Taekwondo. Our philosophy is to teach through positive reinforcement of appropriate behaviour and actions in a high energy class environment. If you are looking for a great place to train in the Maple Ridge area that will add value to you and your family, then contact us today for a free trial. We don’t have contracts and simply ask that if you decide to leave the program for any reason, you provide us with 30 days written notice. What is Kinder Kinder Kicks? 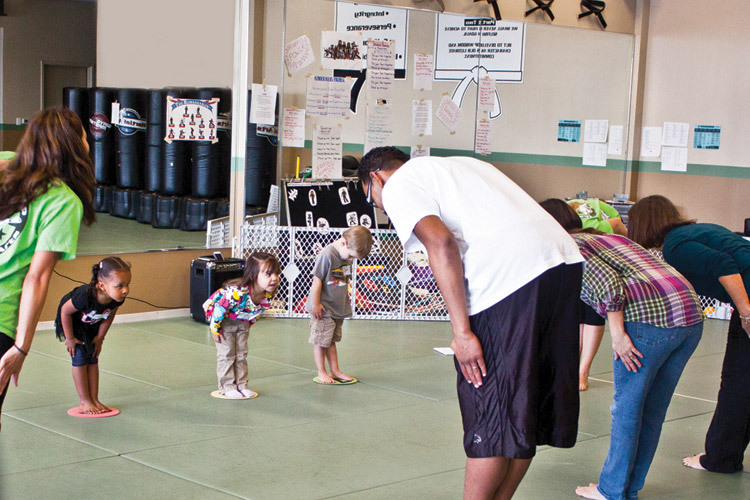 Kinder Kicks is a program developed for parents and children to exercise, learn and play with a martial arts flair. Children develop perseverance, self-control, courage and respect through a fun fitness curriculum with their parents. Imagine a class where you and your baby get to spend 45 minutes getting a complete workout and having fun! Classes incorporate cardio, abdominal work and strength training for the parent, while including tactile, auditory and visual stimulation for the baby. When babies exercise with the important adults in their life, it helps them to bond while establishing fitness as a lifelong meaningful part of a healthy life. In each class, babies will feel textures and respond to sounds such as the voice of the instructor and the rhythm of the music. View our class schedule here. 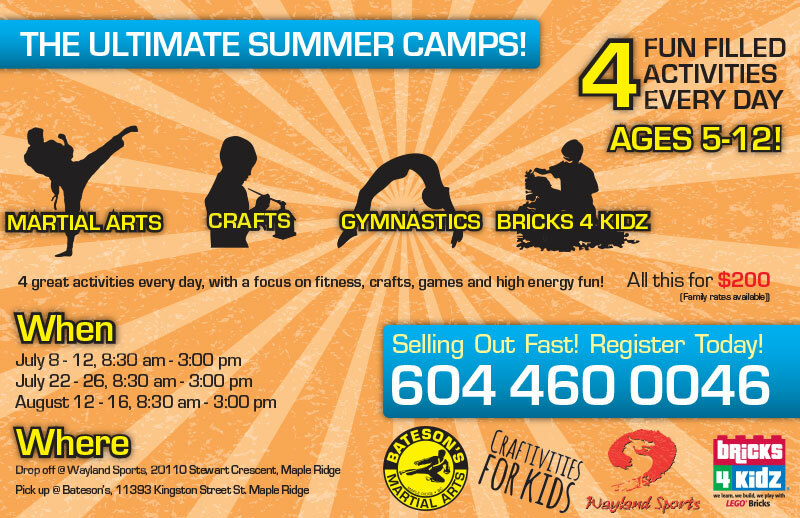 Call us at 604 460-0046 or sign up below and we’ll follow up with you. Exercise for Parent and Child! The Jumping Joey curriculum is designed for parents and toddlers to develop a lifelong love of physical exercise, exploration and learning together. 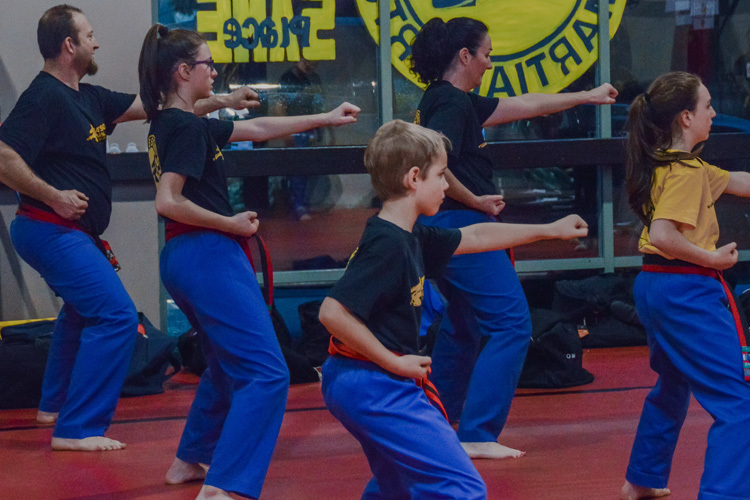 Each class will explore basic motor and social skills, increased physical strength, flexibility and coordination by employing introductory martial arts skills and fitness concepts. Awareness of spatial and perceptual concepts, self-expression and a greater independence are encouraged and celebrated. 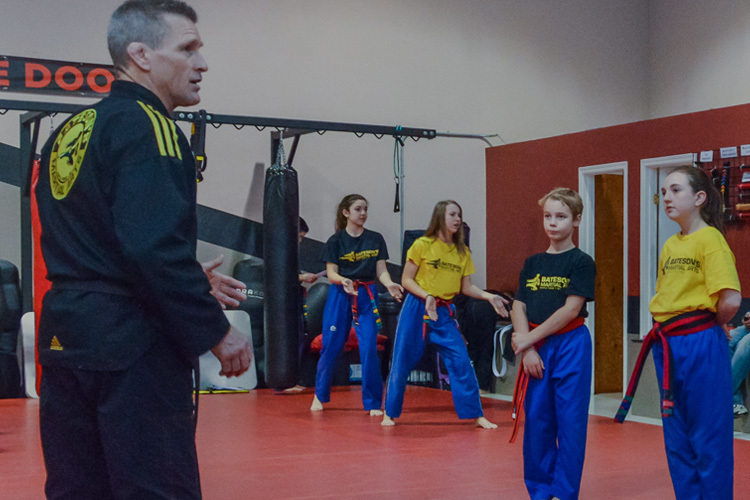 The Leadership Lion curriculum nurtures your child’s independence and encourages a positive attitude toward physical exercise through basic martial arts techniques and fitness concepts. Children develop balance, coordination, body awareness and motor skills which help emphasize flexibility, confidence and emotional well-being. 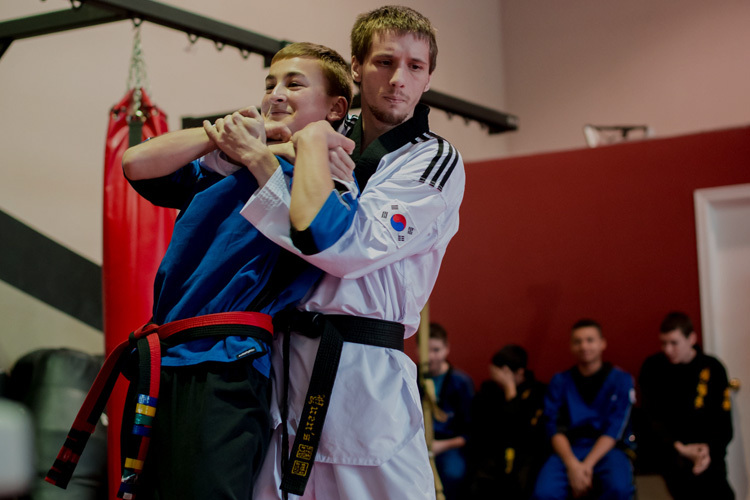 This program is designed to meet the needs of our new Martial Artists. The class is fun and activity based as we work to develop these young champions in a high energy positive environment. Our goal is to have them love being involved, coming to class and participating. We are focused on caring and sharing, following directions and making simple decisions individually, with a partner and in a group. Often this is one of the first activities apart from a parent so building their courage and self image is critical. We nurture these four year olds with the highest level of sensitivity. We would like to invite you to bring your four year old out and try a class on us. Introducing your child to Martial Arts is a great gift to give. All of our programs include a complete Character Development Program with a direct focus on Respect, Confidence and Discipline. We use a technique called EDU-TAINMENT. Through the disguise of high energy drills and games we are educating your children in valuable life skills. Children are having so much fun learning and at the same time they are so proud of their accomplishments. Children enter the program at 5 or 6 years of age as Junior Ninjas. This 12 month program focuses on building strong habits, listening, following instructions, working alone, with a partner and in teams. Creating strong habits and building self respect and self esteem. Included is our Character Development Program which teaches the values of Respect, Discipline and Confidence. This program follows our Junior Ninja program. Students upgrade into the Junior Blackbelt Program and journey through a coloured belt program to achieve their goal of Junior Blackbelt. This program focuses on social responsibility through their elementary and intermediate school years. Students learn to be leaders with responsibility, respect, integrity, self discipline, and many other character development skills. We also teach a comprehensive Bully Awareness Program which is integrated into almost every class. Our main program focuses on teaching life skills, through the medium of Tae Kwon Do. While our students do learn to kick and punch, more importantly they learn to become leaders in the community and leaders in life. Our Character Development Program, “POWerful Words” establishes our facility as a “Character Development Centre”. We go so much farther than implementing and teaching Respect, Discipline and Confidence which are key reasons why people join Martial Arts. These character skills are standard and basic expectations in our program. They are umbrella words for character development. We teach values such as empathy and impulse control as well as work on camaraderie, leadership and vision. In total we rotate through 36 different character values changing to a new one each month. Another key reason people join Martial Arts is for Self Defence. For the less then 1% chance you will need it, we offer all the physical skills required to defend yourself. In conjunction to physical self defence we teach to defend against and build low self esteem, to deal with and manage anger, to work together in a team and overcome obstacles in everyday life. The kicking and punching reduces stress and increases fitness and is not taught to be used on the street. We need more peace and resolution in our world and less violence and conflict. Bateson’s is here to manifest the values of Martial Arts so our students use them outside of the school in their everyday life to be successful, happy and healthy. We offer the highest level of instruction so you can achieve your goal of Black Belt Excellence and beyond. Whatever your needs are, we can assist you in exceeding them, as an individual or family. You are required to attend two 30 minute classes per week at the beginners level (White Belt). After which you can upgrade to 45 or 60 minute classes 2 – 3 – 4 times per week. In today’s society neither men nor women can rely on government, their community or the local police to ensure their safety. All precautions are taken and they are doing their very best to ensure the public’s safety. The predators; from rapists to druggies to related abusers, understand that there is no way society can protect the innocent with any consistency and that you are easy prey. Violence on the streets from road rage to bar disturbances turn deadly so fast that the average person has no idea how to respond or what to do. Women and men need to fight back on their own. By enrolling in Self Defense classes you learn to protect yourself, be aware and understand how the predator thinks by not qualifying yourself as their NEXT target (victim). With over 25 years experience in Martial Arts and 12 years specializing in Self Defense I offer a course which meets the needs of all women. If you are passive there are skills and techniques to fit your personality. If you are aggressive there are techniques for you. If you are not sure I will teach you to understand your personality and provide you with techniques that will suit you best. Although it is not fair that women need to take precautions to stay safe, it is a reality. If you are interested in taking control of your personal safety and not leaving it in the possible hands of someone else come and try my program and see for yourself. Work out like a UFC Fighter. Except…. No contact, no fighting, just hard work and sweat! There are no training classes like this in town. Classes change often to maintain muscle confusion. Come on, try it…. what are you waiting for?? For males and females. Results guaranteed. No matter what you are looking for, this work out will achieve your goals. Remember it’s “HARD, INTENSE, INTERVAL, TRAINING” it’s H.I.T.T FIT. See you in class !! Brazilian Jiu Jitsu is a highly-effective self defense system that focuses on grappling and ground defense. For males, most physical altercations end up on the ground and for females the most violent attack occurs on the ground. This art teaches effective methods to defend and attack from the ground, especially if you are on your back. At Bateson’s Martial Arts, we focus on teaching safe, functional, technical and fitness oriented classes. Our BJJ is a White to Black Belt curriculum based program and we are affiliated with the Northwest Jiu Jitsu Academy. We train primarily in Gi’s but also work no-Gi. View our Brazilian Jiu Jitsu class times. Classes are fun and focused on detailed technique and sound conditioning. 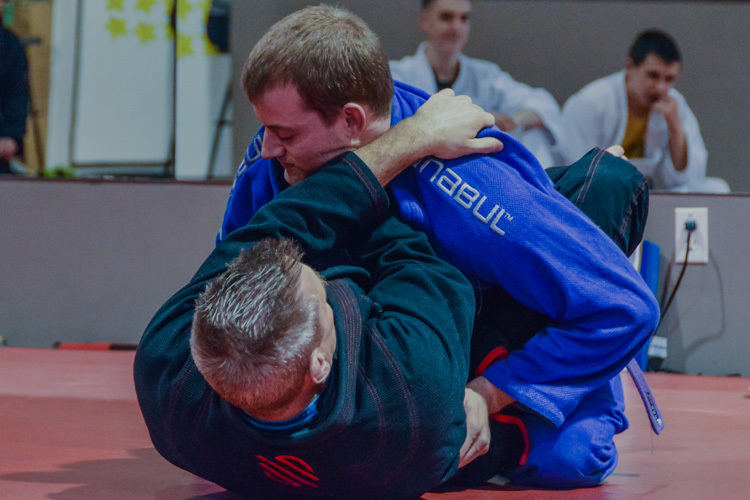 We offer two programs for Brazilian Jiu Jitsu at our Maple Ridge location. The main program is designed for Teens (Thirteen and up) and Adults, Male and Female who want to train hard and learn without concerns of fighting or injury. Our junior program is for ages 8 – 12. If you have been looking for something to add to your Martial Arts training, or you want to try something intense and fun come out and try our BJJ program. 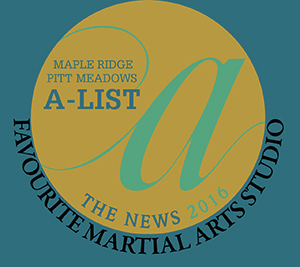 If you’re interested in more information on Brazilian Jiu Jitsu in Maple Ridge or Port Coquitlam, visit our site nwjja.ca. Mixed Martial Arts (MMA) is evolving faster than any martial art we have ever seen. Never before has there been a fusion of all ranges combining arts to function and transition through these ranges. MMA will provide the best self defense you have ever seen. 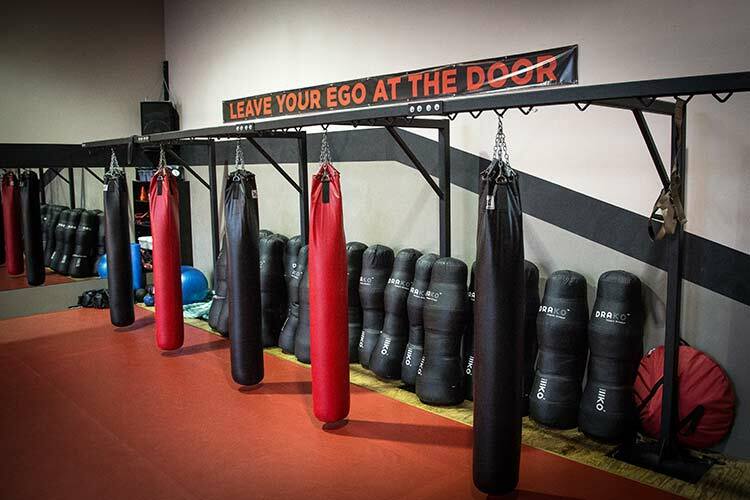 At Bateson’s Martial Arts our focus is on teaching safe, highly functional and technical fitness oriented programs. This program is White to Black Belt structured. We are focused on students interested in learning a variety of arts and want to earn their Black Belt. This is the first Black Belt program in MMA available. This program will focus on blending and combining Stand up (Tae Kwon Do, Muay Thai, Boxing and Kick Boxing), Clinching and Take downs (Judo, Wrestling) and Ground work (Grappling and BJJ). Over the next ten years the fusion of these arts known today as MMA will be structured into high functioning Black Belt programs all over the world. We are very excited to be on the leading edge of this movement. Learn, have fun, get in to the best shape of your life and be one of the first to earn your Black Belt in MMA. Classes are high energy and focused on great technique and sound conditioning. This program is designed for Teens (Thirteen and up) and Adults, Male and Female who want to train hard and learn very effective skills without concerns of fighting or injury. These programs are for students interested in professionally structured belt programs. We train in a fun and safe environment with a focus on technique skill and fitness.